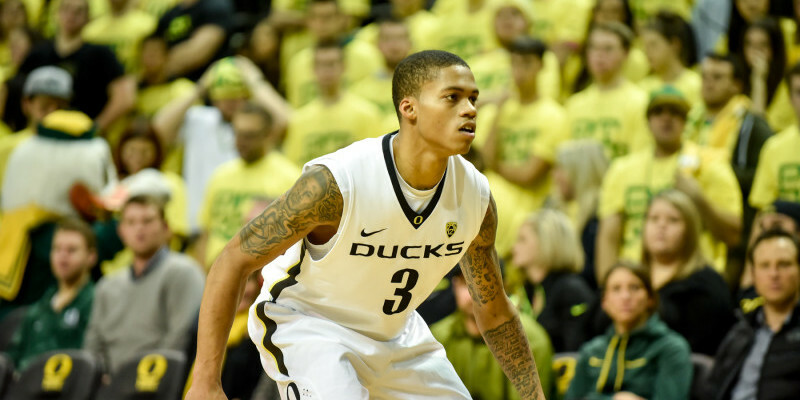 It’s no secret that the Oregon Ducks men’s basketball team has flown under the radar all season long. Despite the fact that the Ducks have one of the youngest rosters in the Pac-12 conference, head coach Dana Altman has established a winning environment by preaching ball movement, unselfishness and pride. Of course, the team wouldn’t be successful if the players didn’t believe in Altman’s vision, but these young Ducks have proven that age is just a number. While the Utah Utes and the Arizona Wildcats have received most of the attention in the Pac-12, these young Ducks have shown that they’re capable of matching up against the best teams in the conference, and they’re eager for a piece of the spotlight, as well. After losing back-to-back road games against the Washington State Cougars and the Washington Huskies in mid January, questions about the Ducks’ resolve surfaced and the perception was that Altman’s club would likely falter as the season progressed. However, Oregon decided that it would control its own destiny, and since January 18, the Ducks have gone 9-2 and they are currently sitting comfortably in the Pac-12. The Ducks are only three games behind the first place Wildcats in the loss column. Not bad for a team that was projected to finish eighth in its conference. With two games remaining on the regular season schedule, Oregon has compiled a 21-8 record (11-5 Pac-12), which is good for third place in the Pac-12 and if the conference tournament started today, Oregon would have a first round bye. However, the Ducks’ winning ways have also helped their NCAA Tournament fate. According to TeamRankings.com, Oregon had a 20% chance of making the famed tournament two weeks ago, but as of today, the men in green and yellow have a 72% chance of playing during March Madness. For a team that wasn’t expected to do much before the year started, it’s safe to say that Altman and the Ducks have had a successful season, regardless of what happens in these last two games against Stanford and Oregon State. Expect Oregon to continue fighting, though. The Ducks may lack size, depth and experience, but one thing they don’t lack is heart.